We’ve made some changes to Wattpad recently. Download our iOS app 2.2.0 or Android app 2.4.0 to get the latest features. App Library Syncing - Now you can have the same Wattpad reading list across all iOS and Android devices. You can even sync your Android phone app with your iPad app! 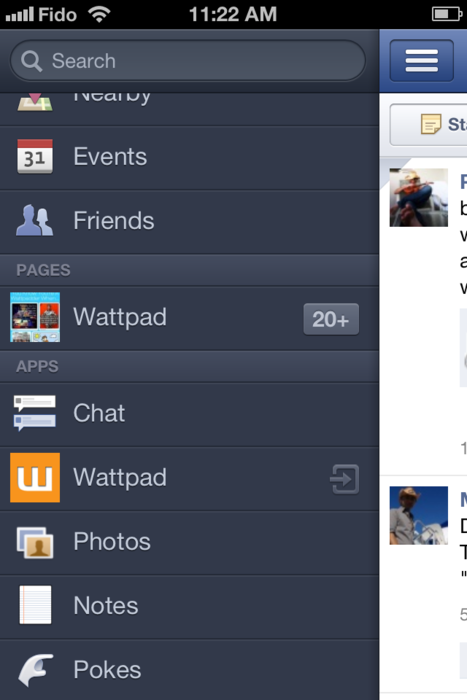 From Facebook to Wattpad - If you have an iPhone, iPod Touch, or iPad, you can access the Wattpad app from within the Facebook iOS app. Want early access to new features before anyone else? If you use our Android app, you could become one of our Beta Testers! Send us an email at pam (at) wattpad (dot) com if you’re interested in helping us make Wattpad even better.